To achieve a good "base" in addition to the foundation and face powder in your cosmetic bag can not miss our great ally, concealer. 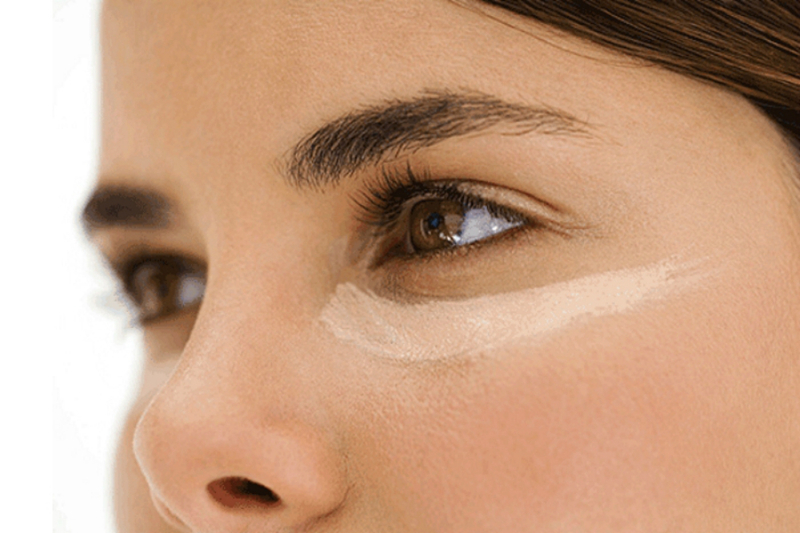 But what is exactly the concealer? Mainly correct our circles it is the only product to use in their own eye area because it has a specific gravity different from that of the foundation, and being the skin of our eye area a lot thinner than the rest of the face when we go to correct "mistakenly" dark circles with foundation we're going to get us the birth of wrinkles. Do not forget that as mentioned in one of my previous articles, The eye area is the most exploited part of our face as we speak with the eyes even if we remain silent, If we are sad or happy, if we laugh or weep, if we simply look at something, so we have to take good care of. But the regulator is also used to eliminate annoying little skin blemishes such as for example redness or acne. There are various varieties so we will first identify the texture best suited to our skin type and then of course the color suited to our needs or rather the correction we need. According to the old school should be applied after our treatment cream on the affected areas, and before the foundation drafting, This is because the texture of the first corrector was often very thick and doughy. Today, however, there are high-performance concealers despite their ultra-thin texture so we could without problem even reverse the steps. The correctors are distinguished as "flesh-colored" which usually have different shades of beige and pink and colored ones. The use of the latter is an absolute must before the foundation of the drafting. The colorful stand out in green for covering redness and pimples, Orange to neutralize the purple tint of dark circles, yellow to give brightness to the incarnated off. These are obviously the three most popular colors on the market, but many companies also have the wisteria and lilac will still be used to fight the complexion of yellowish olive skin. Most important is of course the choice of the color of our concealer, sbagliandolo because we risk putting even more out of our imperfection rather than hide it. And a lot of importance has the undertone as for example choosing a color or too cold rosé could result in a bad greyish. One last tip: we must never exceed with the quantity, but we should always proceed in stages so as not to bring out our imperfection, but to make perfect our correction.